An event with young people in mind. An evening of contemporary worship music, a short reflection from the SYMT Team, guided prayer and FREE DOUGHNUTS! Why: Faith is an adventure, and the more we explore what it mean for us, to more God amazes! We want these evening events to be a chance for young people, and those not so young, to have the space to explore their faith. 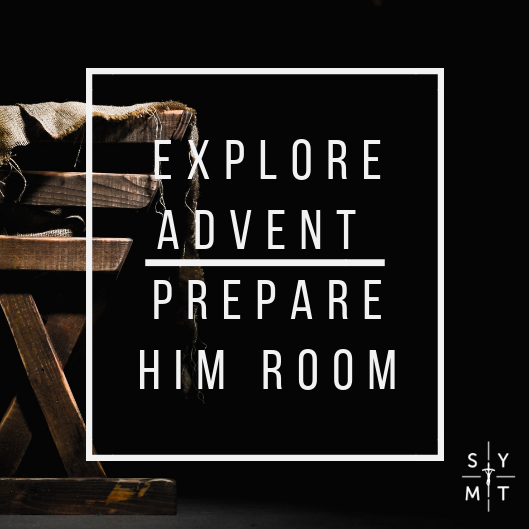 This Advent we are going to be looking at how we can prepare some room in our lives for Jesus. Who: If you've been to any of our events before please invite a friend! Great for young people in Secondary School, but also for those in Yr 6. The whole Parish is welcome to join us.